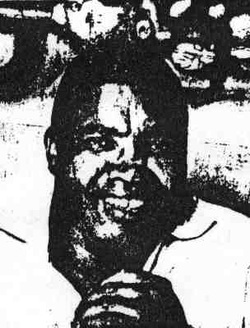 Hargreaves Ntukwana was born at Crown mines on June 17, 1938. He went to school locally - and then disappointed his father, a mine clerk, by rejecting medicine as a career and instead studying fine art and music. He worked as a messenger and clerk to pay for his tuition in fine art. 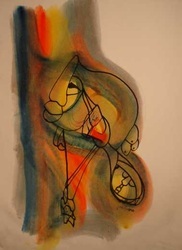 He studied with Cecil Scotties at the African School of Art in Harare and privately at the Artists' Colony in Toledo, Spain under the master Costa Lidas who died at the age of 100 in 1979. He also lectured on South African art both in Africa and in the USA. He was the first black artist to attend the Alder Fielding Gallery in Johannesburg.. Hargreaves started his artistic career in music, playing tenor sax and piano but never felt comfortable. The fast life was not for him so he sold his instrument and began painting. He filled his paintings with glorious rich colors of Africa in a style unique and contemporary. Hargreaves first gained recognition for his art when he designed a cover for the album "Dollar Brand Underground in Africa." He went on to design for Letta Mbulu's record company, and also painted the designs for the costumes of the cast of the multiracial show "Black and White is Beautiful" which toured overseas with Welcome Msomi. 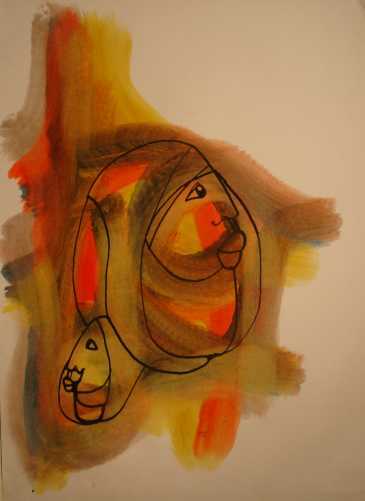 His first local one man exhibition was held at the Adler Fielding Gallery in Johannesburg in 1967. Other local exhibitions followed in 1972. He exhibited some of his work in Salisbury and in Harare, Zimbabwe at the African School of Art. His first overseas one man exhibition took place in London in 1973 and from there exhibitions were held in Paris, Munich, Frankfurt, Denhaag and Bonn. Other exhibitions were in Denmark, Zurich and San Diego in February 1986. 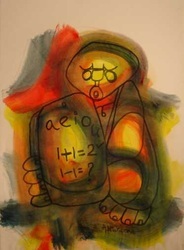 He has also exhibited at the Oglethorpe University Art Gallery in Atlanta Georgia in the late 1980's. His work is popular in the United Stares where he has exhibited extensively since his first exhibition in Boston in 1974. His works are charcoal, water color and pen and ink, but he mostly used the technique of blowing diluted oils onto paper, wiping the excess with cloth and cotton swabs then inking over the color background when it is dry. Hargreaves suffered from Parkinson's decease and was unable to control the brush as he once did which can be seen in his later works as he still continued to paint. On February 25, 1998 Hargreaves Ntukwana passed away.